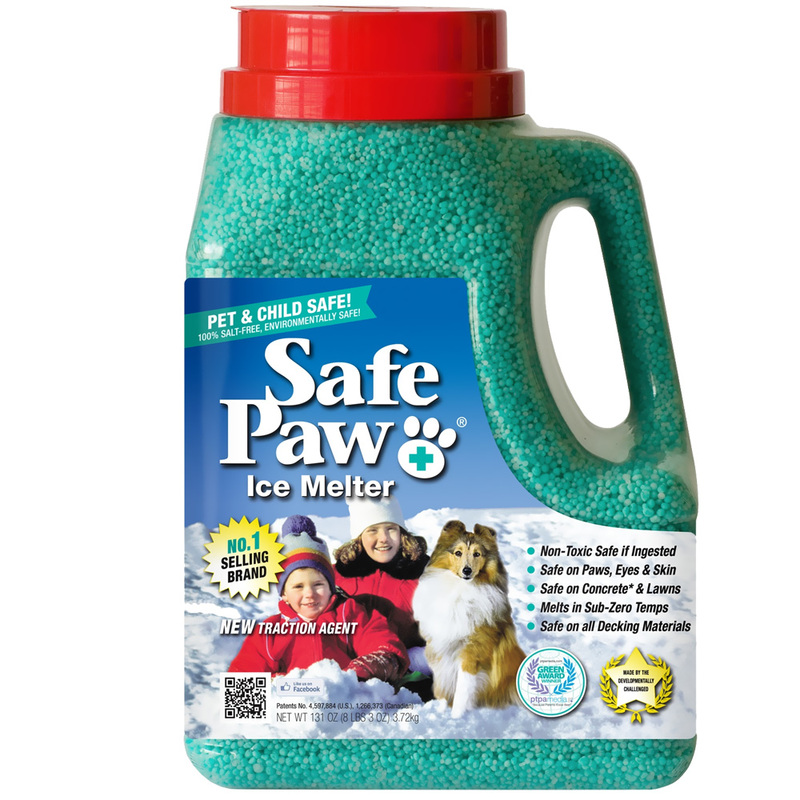 When winter snow and ice arrive many people use ice melters to keep their families safe from slips and falls. But did you know that most ice melters contain salt so they can injure our pets and children? Doctors and veterinarians routinely treat cases of poisoning and painful skin and jaw lesions that are caused by these salt deicers. Vets tell pet owners not to use any salt deicers. 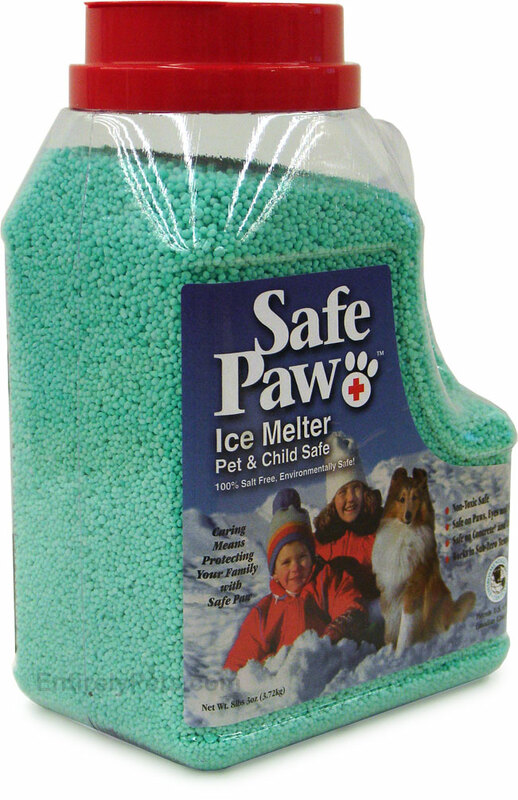 Safe Paw™ non-toxic ice melt is guaranteed safe for pets. 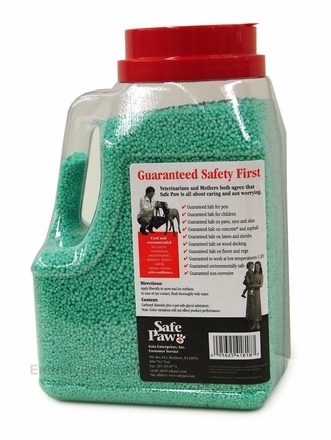 Concentrated pellets cover twice the area of rock salt, will not irritate pet's paws or skin, and it works in temperatures as low as 2° F. Timed-release formulation helps prevent re-icing for up to three days. Veterinarians and Mothers both agree that Safe Paw is all about caring and not worrying. Directions: Apply liberally to snow and icy surfaces. In case of eye contact, flush thoroughly with water. 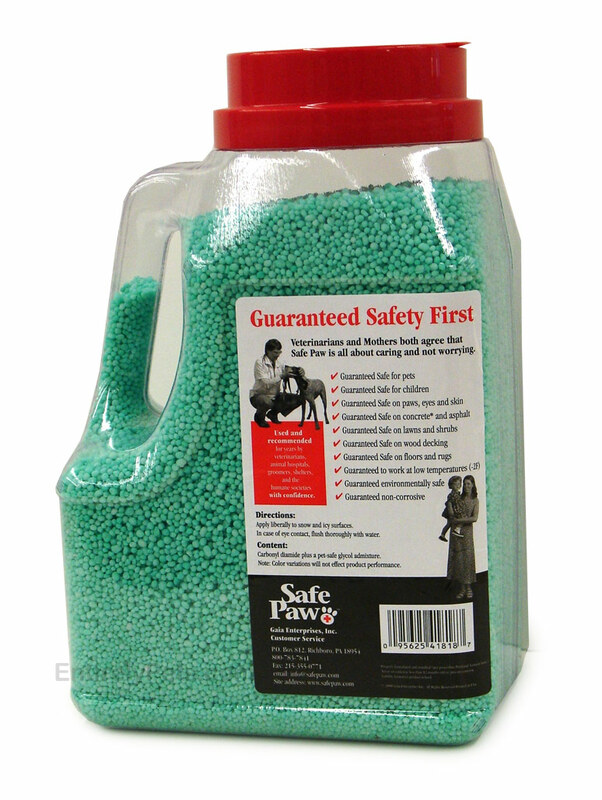 NOTE: This product requires to be shipped via our Pet Food Ground method only and does not qualify for free shipping.